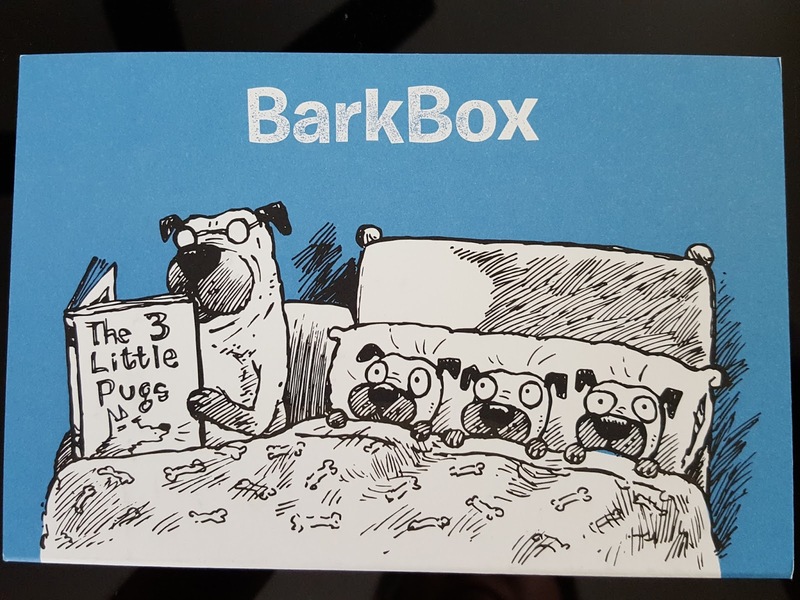 Pint-sized and Simple: BarkBox "Bedtime Stories" Review - September 2015 + Get A Free Box! 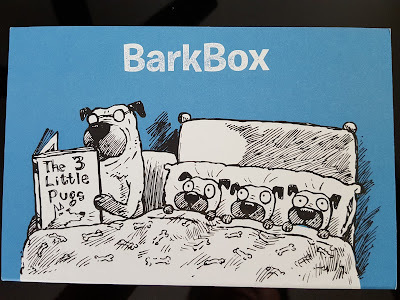 BarkBox "Bedtime Stories" Review - September 2015 + Get A Free Box! 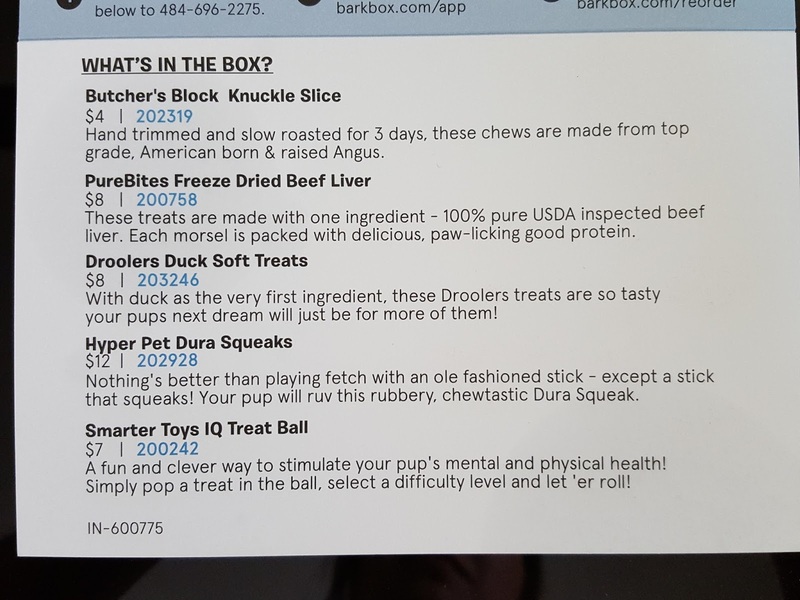 BarkBox is my oldest and also one of my all-time favorite subscriptions. Prices on just about everything are overinflated when you live on a rock in the middle of nowhere (seriously, who pays $0.35/kWh for electricity?? ), so sub boxes are a great way to save some dough while still getting the things you'd use anyway. (Not to mention they're also a great way to discover some new and buzzworthy stuff!) I wish electricity came in a sub box too. 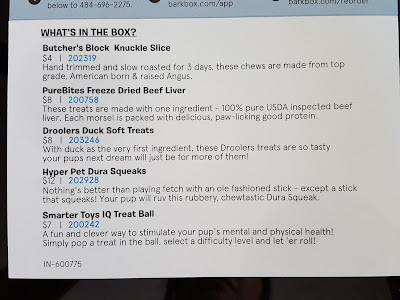 September's box is about Bedtime Stories, and while BarkBox is normally spot on when it comes to sticking to themes, I have no idea how they'll pull off this one. I suppose they could include calming treats like the ones that help with anxiety. I guess that's kinda sleepy-ish. Or a nice fluffy plush that doubles as an awesome pillow (though my pillow destroyers wouldn't be allowed anywhere near it). Let's find out! Butcher's Block Knuckle Slice (Value: $4) - This is one huge beef knuckle. I'd totally pay $4 for it. I should have put a coin for reference but it's about the size of a ribeye. That was one large cow. 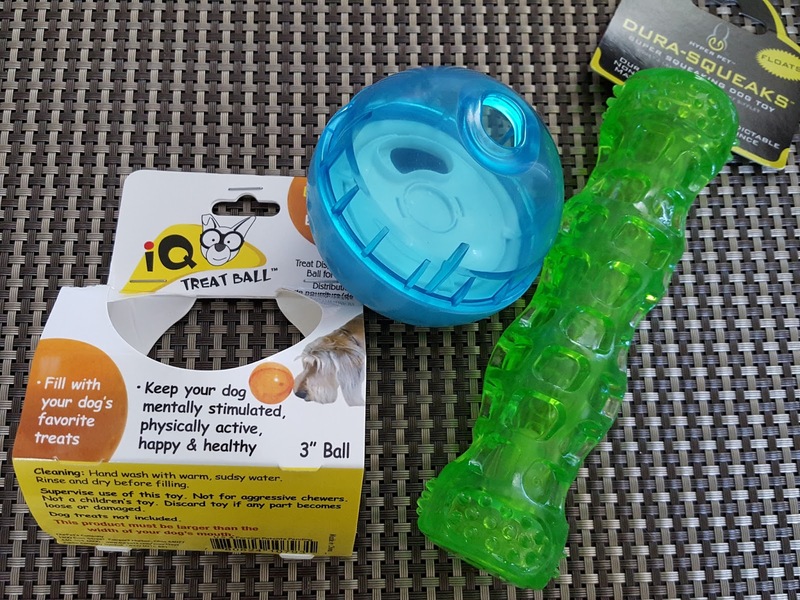 These are great for keeping your dog occupied while you want to veg out in front of the tv without any slobber. True, they are pretty messy (don't let them take it on the carpet!) and the sauce will get everywhere, but if your dogs are anything like mine they'll lick EVERYTHING up until the bone is white and the floor is spotless. 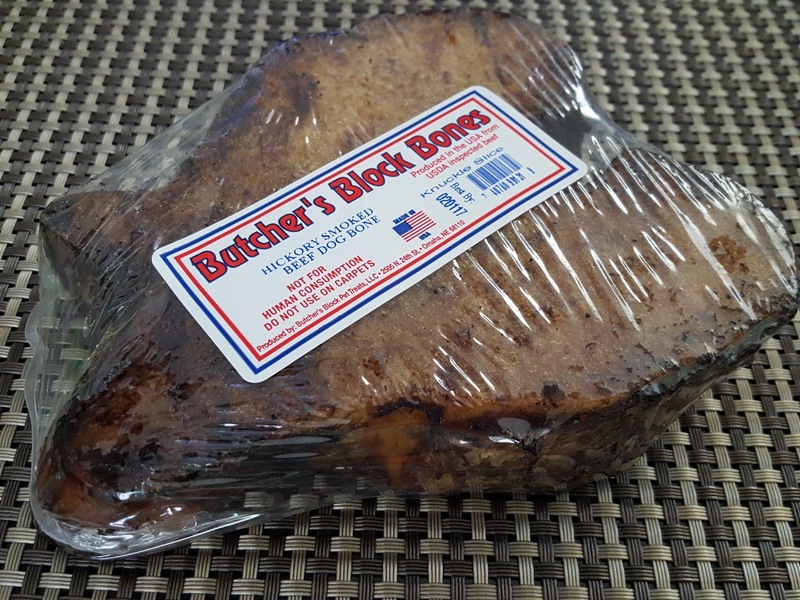 PureBites Freeze Dried Beef Liver (Value: $8) - These have one ingredient: beef liver. 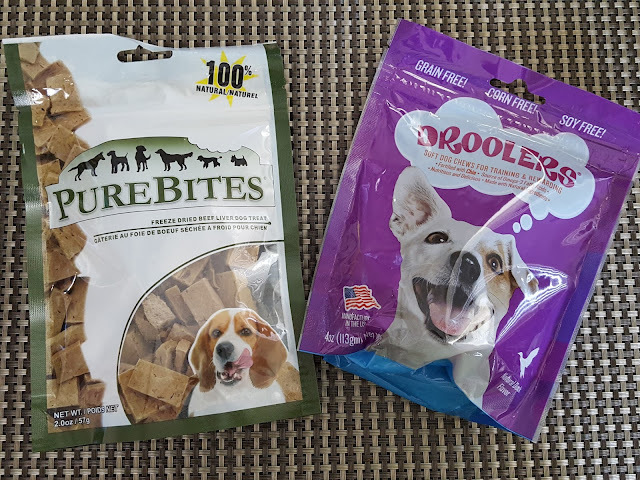 You can't go wrong with freeze dried liver. Forreal. 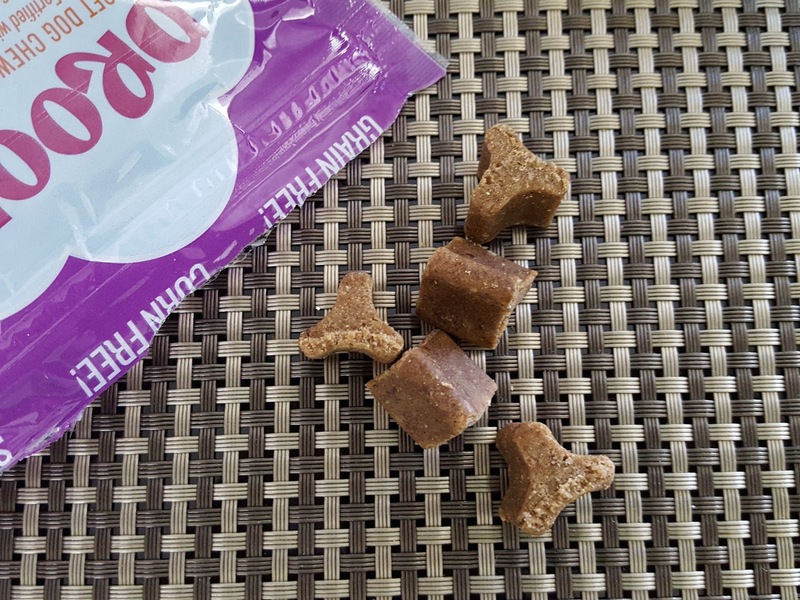 This was Macho's first favorite treat and he'll never turn these down. And everything is Pebbles' favorite so this is definitely a win. Plus since it's freeze dried, you should be able to reconstitute it with water to get a nice juicy block of noms. 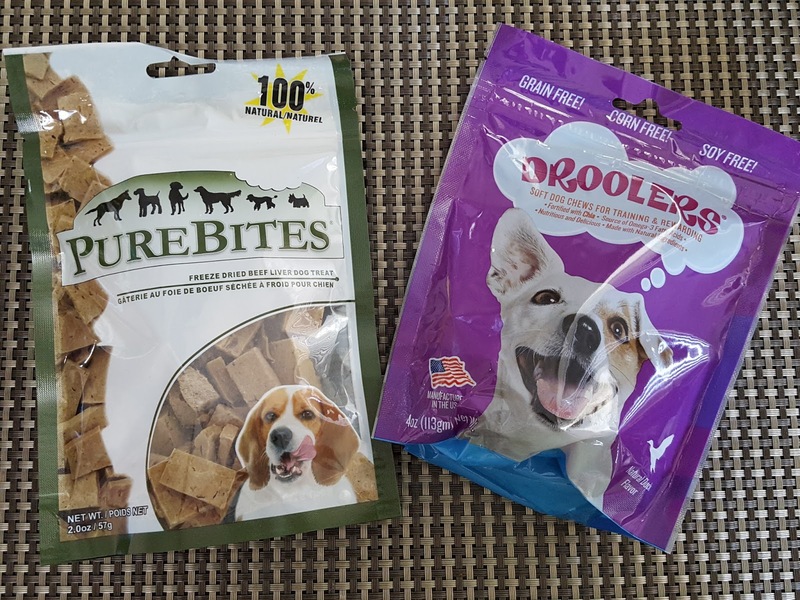 Drooler's Duck Soft Treats (Value: $8) - I love when meat is the first ingredient in treats and duck is listed first in here. 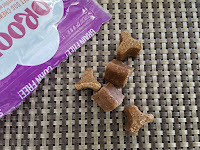 They also make good training treats. Each will easily break into three pieces for rewards during training. Contrary to what you might think, these aren't oily like duck meat usually is. But they stink. I don't know how to describe it, but it's that unpleasant odor that some meaty treats leave behind on your hands after you handle it. The treats itself smell fine, though. Just make sure there's a sink nearby. But of course, the smellier it is the more the dogs like it. These are g-o-n-e. So there you have it - September's bedtime stories box. I really didn't see anything bedtime-related, but it really is a hard theme to pull off. That's okay though because it was still super fun for the dogs. Both toys were repeats from previous Barkboxes but that's fine because I can finally give both to the pups without worrying about them eating a squeaker or leaving a trail of stuffing everywhere they go (although I may need to keep an eye on Macho and his human-paws). We're never disappointed with the treats, either. There's no such thing as my dogs turning down food. They even love lettuce. You know when your lettuce starts turning brown and it looks ugly but is still perfectly edible? Give it to the dogs. The totally loved me that day. 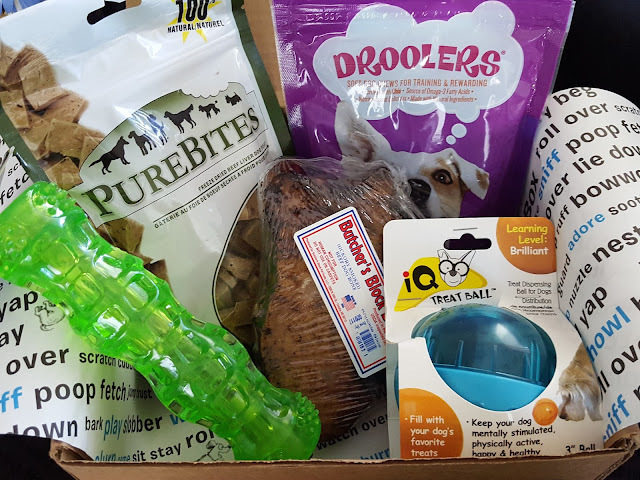 Want to subscribe to BarkBox? You can get it here for as low as $18/month -- plus get a free box tacked on to your subscription just for using my link! Ten thousand thank yous if you do use it!